US Tax legislation is comprised of approximately 11 volumes with around 1,000 pages each. Around 3 percent of these volumes are changed annually. Therefore rather than explaining the countless tax information, below is an overview for the understanding of The U.S. tax structure. All taxes are paid separately. Almost all states and select localities impose a corporate income tax. The rules for determining this tax vary widely from state to state. 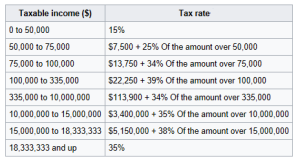 Many states compute taxable income referring to federal taxable income, with specific modifications. Each state has its own corporate legislation, which is often vastly differs from state to state. Attorneys who want to practice in their respective state(s) must take the state bar exam in order to become a licensed attorney. Similar rules apple for Certified Public Accountants (CPA’s). A certified accountant or tax attorney with a California license may not reply or represent you on any issues related to taxation in the State of New York. (And in all other states where they do not possess the proper license). In order to register your company in a particular state, first you must see their state corporate tax amounts and consider whether or not you are willing to pay them. Local taxes in the United States depend upon the city or district (county). In many regions, there are no local taxes. If there are any taxes, the amount can be insignificant. For example, in the city of San Francisco, there is a local tax of $150 per year. In order to find out the amount of local taxes to be paid you can go to your local tax office. If you are running an online business or just registered at a virtual address yet, a physical business address does not exist, you are not obligated to pay local taxes. 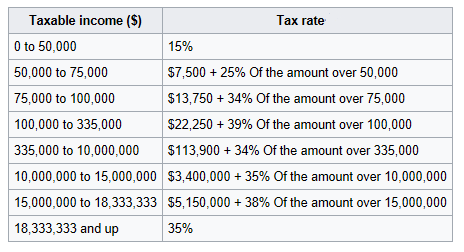 Overall, The US tax system is very complicated. In many cases, especially those dealing with greater amounts of money, it is recommended to contact a tax attorney or CPA. Failure to pay taxes totaling more than $50,000 thousand dollars can cause a case to go from administrative to criminal. It is crucial to manage your taxes and statements in a timely and accurate manner. ← Does my company need to be marketed?